Moore Catholic High School was founded in 1962 by the late Francis Cardinal Spellman and the Presentation Sisters of Staten Island. Originally founded as an all girls high school, Moore Catholic was named after Countess Mary Young Moore, an extraordinary benefactress of the Archdiocese of New York. In September 1969, Moore evolved into a co-educational institution signified with a name change from Countess Moore High School to Moore Catholic High School. In 1966, Moore Catholic received its official registration from the Board of Regents. From the first 127 young ladies to our present enrollment of almost four hundred students, the history of Moore has been one of growth, service and God’s blessings. Today, Moore Catholic High School’s mission and vision is stewarded by a dedicated faculty, staff, alumni, Board of Trustees and by the Sisters of Our Lady of the Garden. Moore Catholic strives to support our students toward excellence in academics, athletics and the arts. As the only co-educational Catholic high school located mid-Staten Island, our graduates leave Moore Catholic as lifelong learners committed to service in our local community and beyond. 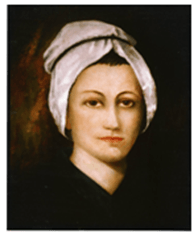 Honora (Nano) Nagle (1718 – April 26, 1784) born in County Cork, Ireland, founded the “Presentation Sisters of the Blessed Virgin Mary” (PBVM). The first Presentation convent was founded in Ireland on Christmas Day, 1775. In June 1776 she received the religious habit and took the name Mother Mary St. John of God. Her ideas for education focused on the spiritual and secular welfare of her students to be interwoven and flow naturally together. In 2000, Nagle was voted Irish Woman of the Millennium in recognition of her importance as a pioneer of female education in Ireland. She was declared venerable on October 31, 2013 by Pope Francis. Today the Presentation order has spread to 23 countries worldwide continuing the legacy of Nano Nagle to work for justice, alleviate oppression and promote human dignity. Following Nano’s vision, Moore Catholic High School continues to respond to the educational needs of our time. Moore Catholic High School is a college preparatory, co-educational, Catholic secondary school. We are dedicated to the education of young people according to Catholic tradition and values. We strive for excellence in all areas; seeking to insure that all students develop their full potential to become mature responsible adults. Our hope is to develop in students their physical, moral, and intellectual talents; that they acquire a more perfect sense of responsibility and a correct use of freedom, and that they be educated for active participation in society.